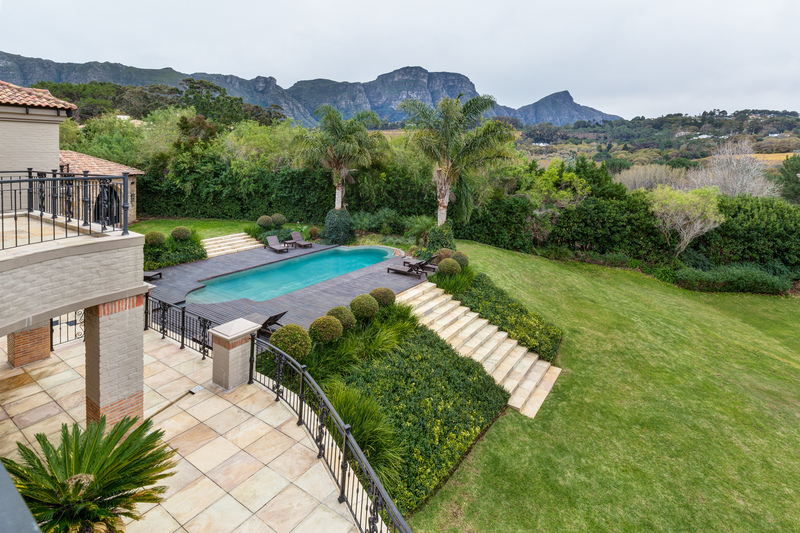 Today’s luxury villa takes us to Capetown, South Africa in the Constantia Upper area. 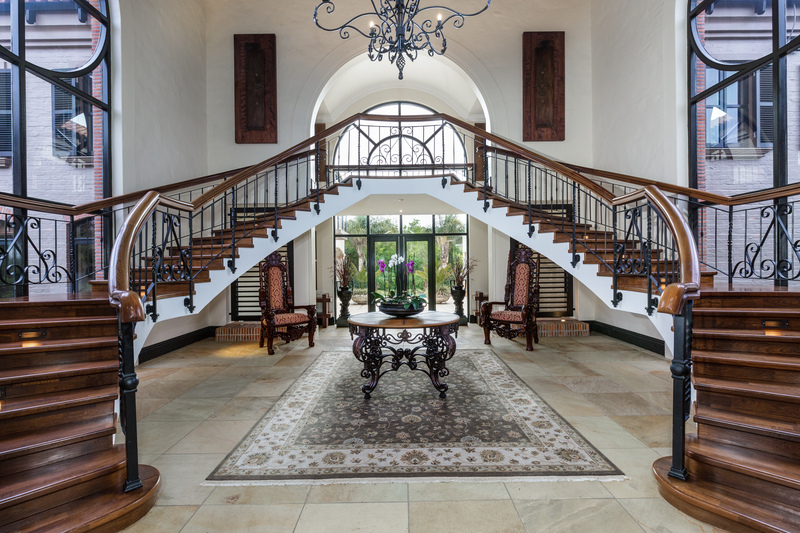 As you enter through the wooden gates you are welcomed into another world of sheer opulence. 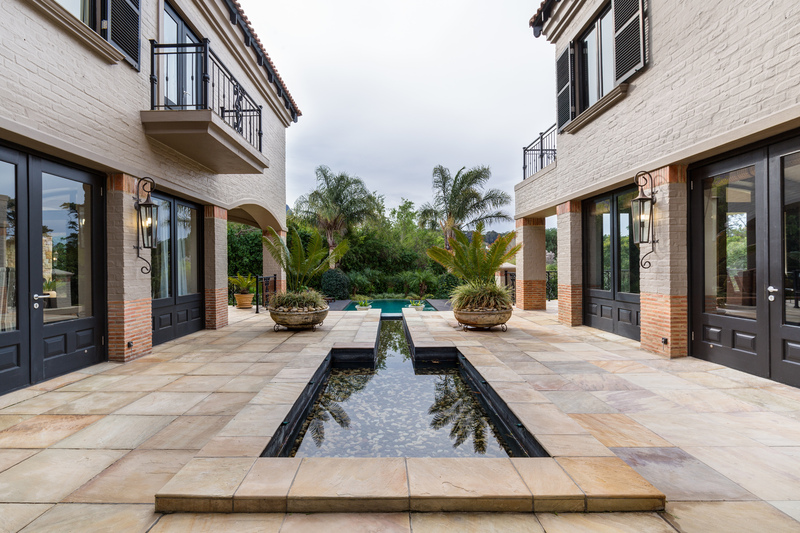 The parking courtyard has tall arched barn style garages and koi ponds setting a tone of refined luxury. Exquisite tall authentic wooden front doors lead you into a grand entrance hall with sweeping staircases and tall doors leading out onto the pool and mountain views. 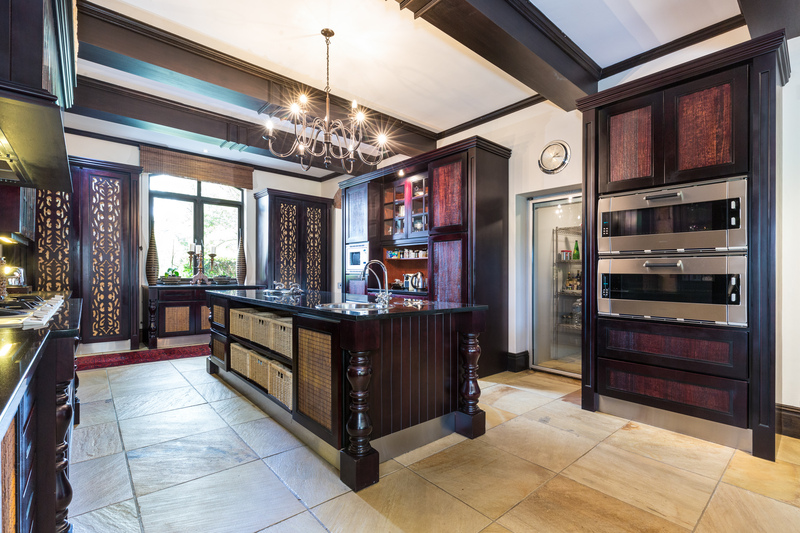 A glamorous solid dark wood kitchen flows into spacious lounges. The home has an elegant dining room and an entertainment lounge/ gym room all flowing through tall stack back doors onto a deep enclosed patio which leads to a separate entertainment area encased in natural stone detail. 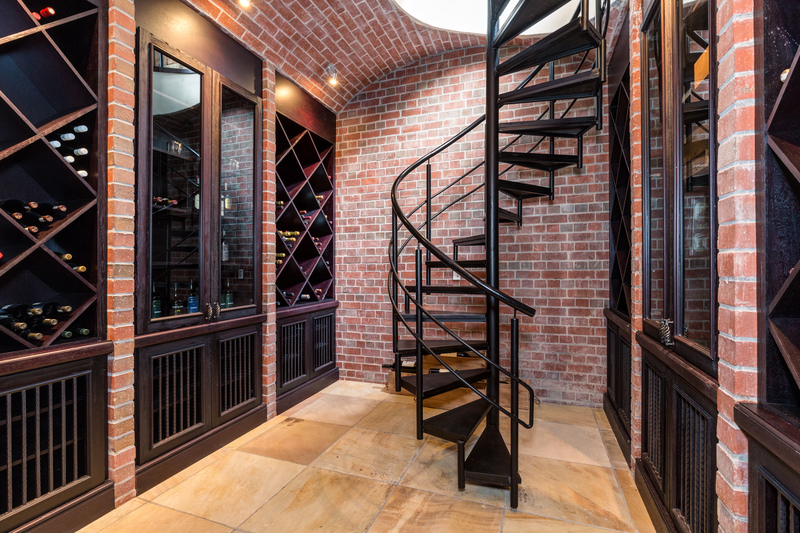 A sophisticated gentleman’s bar leads downstairs to a private wine cellar. The patio overlooks the rolling green lawns, putting green and breath-taking mountain and vineyard views. This five bedroomed home comprises of three lavish bedroom suites upstairs with luxurious bathrooms all leading out onto balconies with lovely vistas. 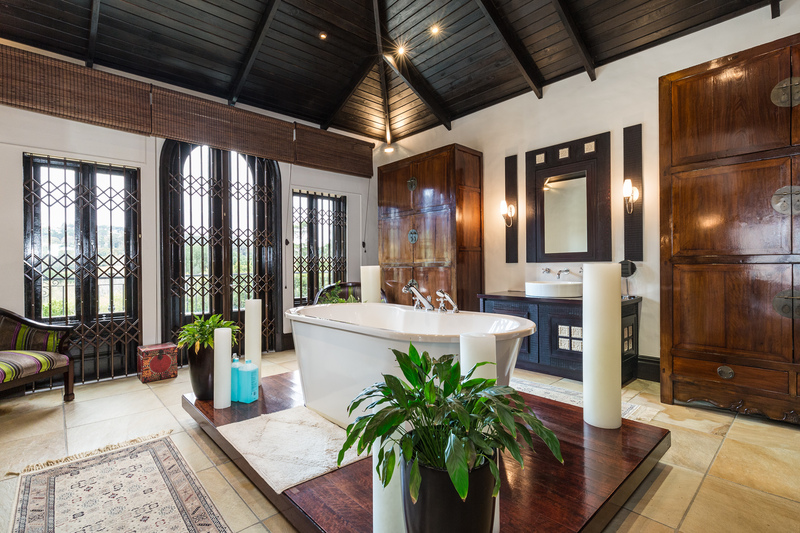 The downstairs wing comprises of two spacious and private guest bedrooms en-suite. 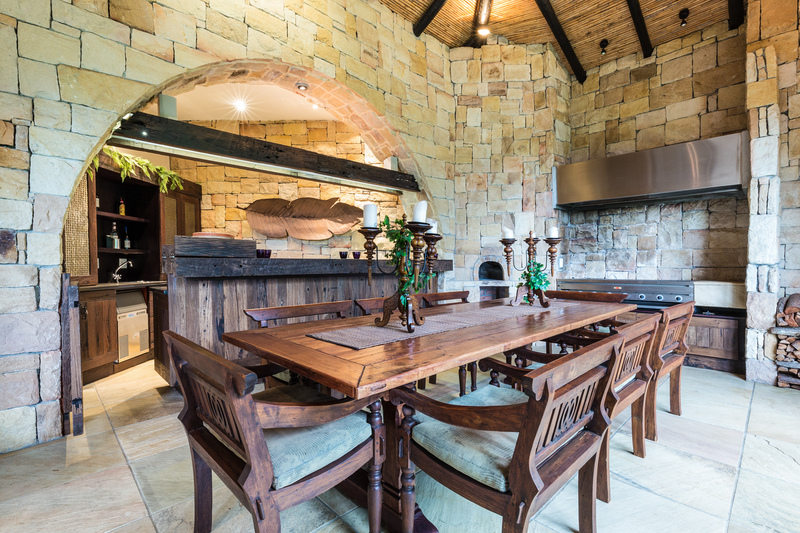 Dark wooden ceilings contrasting with light walls add a sense of dramatic elegance. With tasteful and stylish finishes throughout, tall solid wooden doors, high ceilings, and imported lighting and flooring, this home has undeniable style. 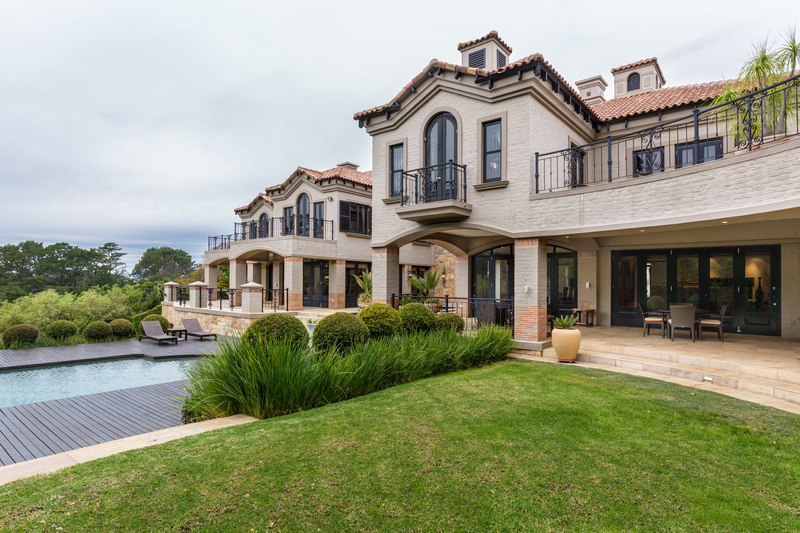 This property is listed for 65 million Rand (approximately $4.98 million) with Jawitz Properties and is showcased by Luxury Portfolio.